Home MTAANI NEWS Suspected robber fighting for his life at Thika Level 5 Hospital after being attacked by irate residents. Suspected robber fighting for his life at Thika Level 5 Hospital after being attacked by irate residents. David Kimere Mwangi shows a scar left behind after he was attacked by thugs a he walked home at around 11pm on Sunday. Police on Monday rescued a suspected robber from the jaws of death after angry residents of the sprawling Witeithie Estate in Juja Sub-County pounced on him with all manner of crude weapons. According to area police Inspector James Dawai, the suspect is fighting for his dear life at Thika Level 5 Hospital and is still in a stupor. It is alleged that the suspect was in a group of for thugs who had unsuccessfully attempted to rob a resident of the estate at around 4 am in the morning. The victim is said to have raised alarm prompting immediate response from people living nearby who managed to corner the suspect as his accomplished ran for safety. They ruthlessly subjected the suspect to mob justice before cops came to his rescued. a suspected robbery suspect Angered by skyrocketing series of thuggery, residents of the sprawling Witeithie estate in Juja Sub County of Kiambu County, Monday morning took the into their own hands ana mercilessly beat up a robbery suspect to near death. Using all sorts of weapons they could lay their hands on, He was rushed to Thika level 5 hospital in a coma. Police say that they were investigating whether the suspect was a member of the notorious Gaza gang that has been terrorising locals. 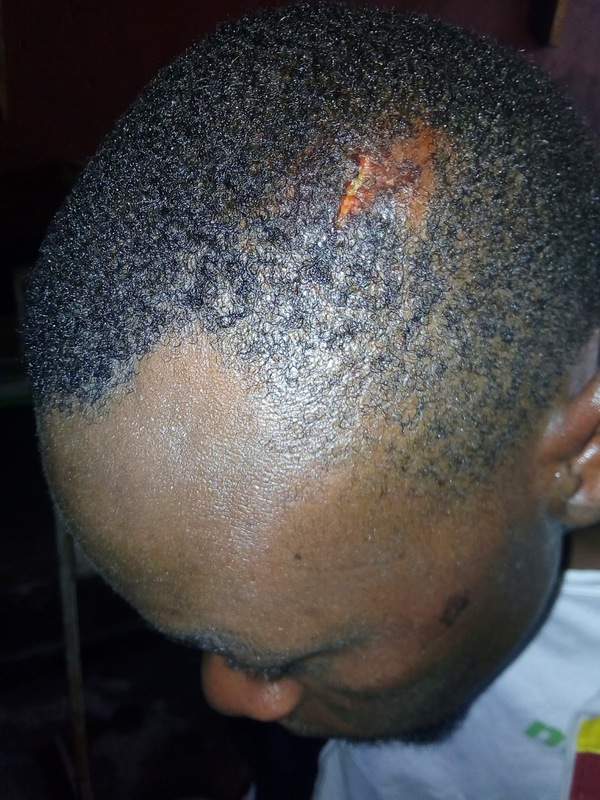 Meanwhile, David Kimere Mwangi is nursing a head injury after he was stubbed by thugs in Witeithie last Sunday at 11pm as he walked home. Mwangi, who was left for dead, was robbed of his mobile phone and ksh 800 in cash. Marauding Gaza members who are mainly young school drop outs, have been unleashing terror in the estate and environs even as security agents bite their lips vowing to wipe out the gang armed with crude weapons.